La Belle et la Bête is a fairy tale written by French novelist Gabrielle-Suzanne Barbot de Villeneuve and published in 1740. The story has been abridged, written and published many times over the years. Jeanne-Marie Leprince de Beaumont first published the story best known today in 1756. It was influenced by stories such as Cupid and Psyche, written by Lucius Apuleius Madaurensi, and The Pig King, an Italian fairytale published by Giovanni Francesco Straparola. 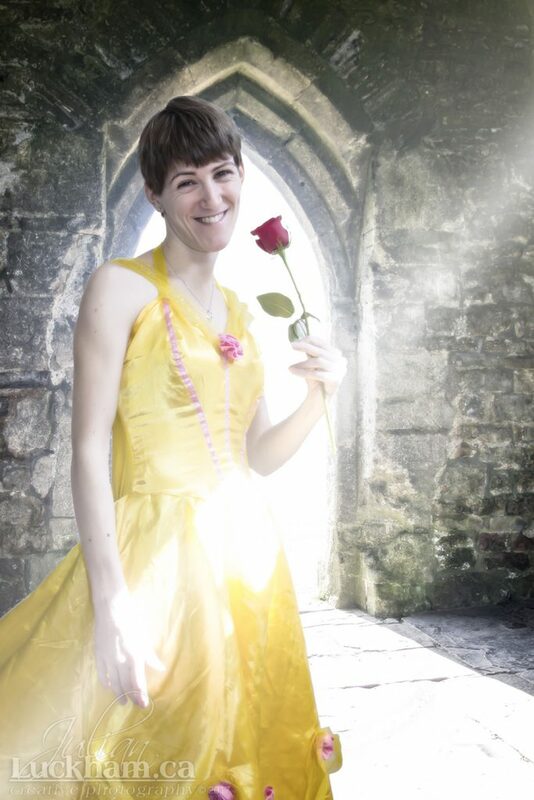 “Beauty and the Beast”, the new live action Disney film, is once again bringing the story to life. My daughter Caitlin has been enamoured by the story of “Booboo and the Bee” since she was a little girl, back when consonants were difficult to sound out. 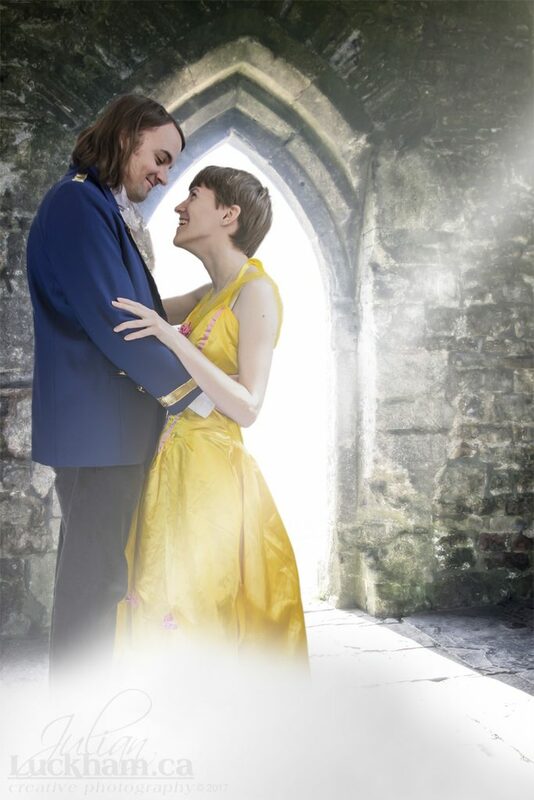 My daughter, who is now 27, decided to do a cosplay with her boyfriend Chris in celebration of the new film’s premiere and asked if I would take a photo of them. Of course I agreed and as a self-proclaimed photo illusionist I said I’d even take it a step further and bring her fantasy to life. Would you like to commission a photo illusion of your very own? Click here to read more or give me a call. 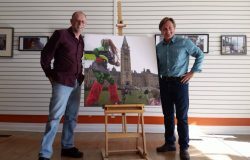 So, without further ado here is the first photo illusion from our photo shoot and of course, it’s the most important and most iconic scene from the original animated film, the dance scene. 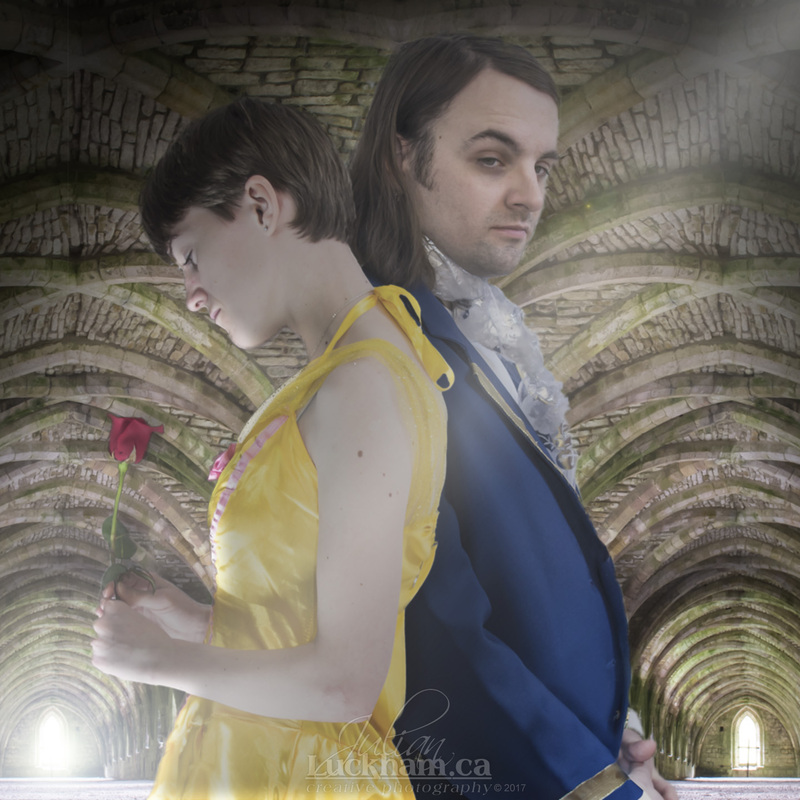 As Emma Watson, who plays Belle, recently said “The scene that I wear that dress in, and I have that dance in, it really tells the story of Beast and Belle falling in love. You know, we don’t have a huge amount of time in the story to tell that story. The dance, for me, is really where the audience starts to see it happening and starts knowing that it is happening. This is total, blissful escapism. You are transported to another world. 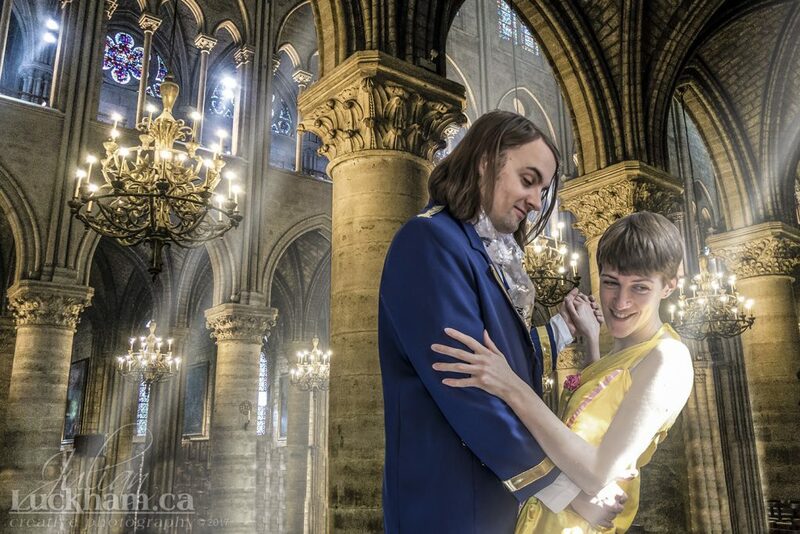 The dress, and the dancing, and the candlelight, and the music — it was really fun to work on every aspect of that.” And this illusion was really fun to work on too! As with all my photo illusions, everything you see is real, all the photographs I use are mine, but they have been combined and edited in such a way as to create something not so real. Click on the photo to enlarge. 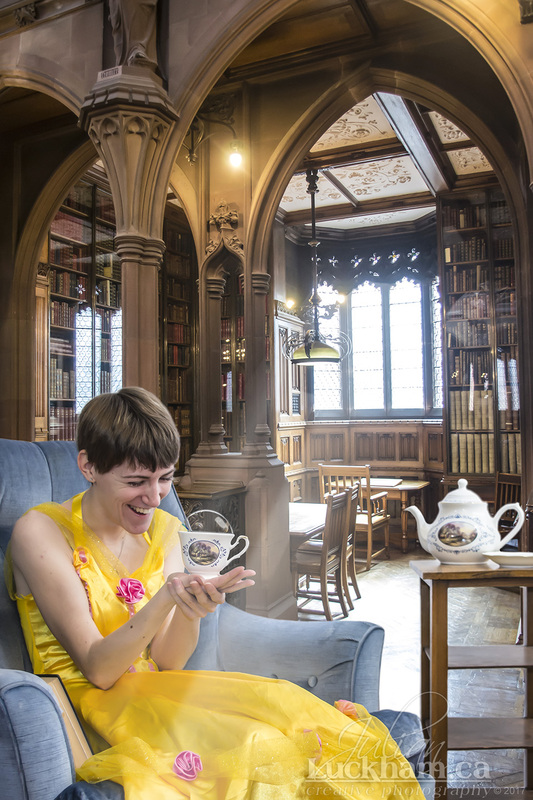 And here’s another illusion Caitlin wanted to do of her sitting in a library talking to Chip the teacup. 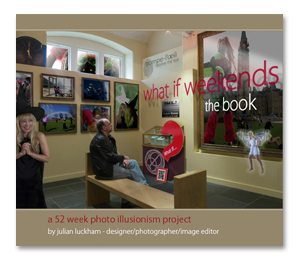 To create these illusions I use all of my own photos, this one is using a photo I took a couple of years ago in a beautiful library in Manchester, England called The John Rylands Library. For the previous illusion I’m using a photo I took inside the Notre-Dame Cathedral in Paris. All of the photos of Caitlin and Chris were shot in a basement! And here’s a few more… because I had some other nice shots and just had to make use of them… besides… the smile on my daughter’s face when she see’s them, is worth it! The backgrounds are St Michael’s Tower on Glastonbury Tor and the cellars of Fountains Abbey near York. And here’s a more straight forward photo, also inspired by the movie that I took and posted as a sneak peak on Facebook. 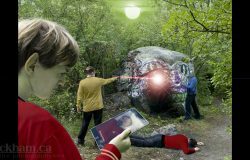 I hope you’ve enjoyed these photo illusions, and if you have a fantasy of your own you’d like to bring to life give me a call and let me put my photo illusionism skills to work for you.